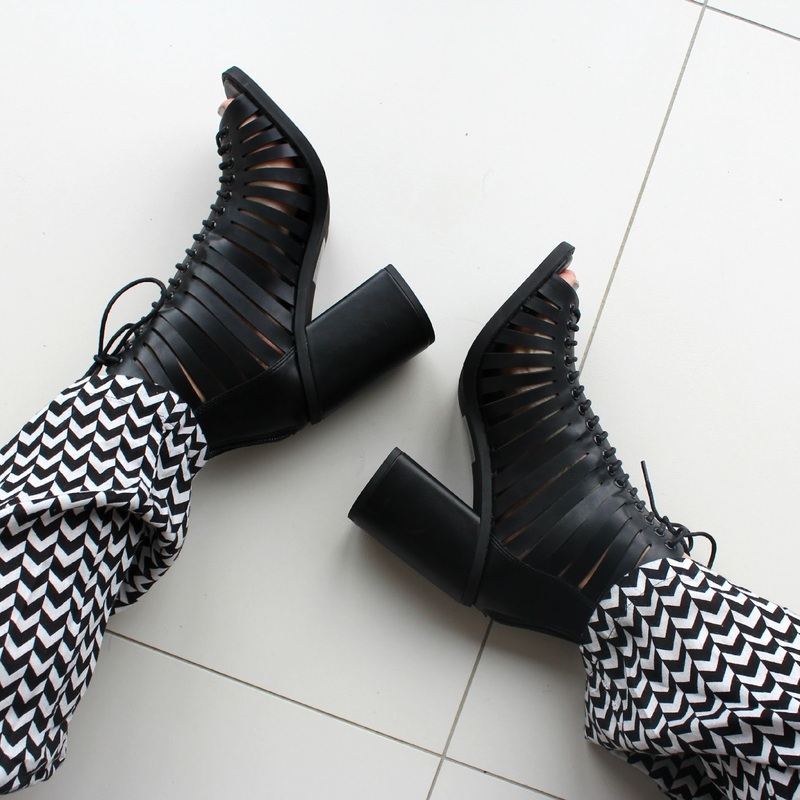 How awesome are these monochrome flares? I've been searching for a pair like these for SO long. Well, I'll tell ya why! 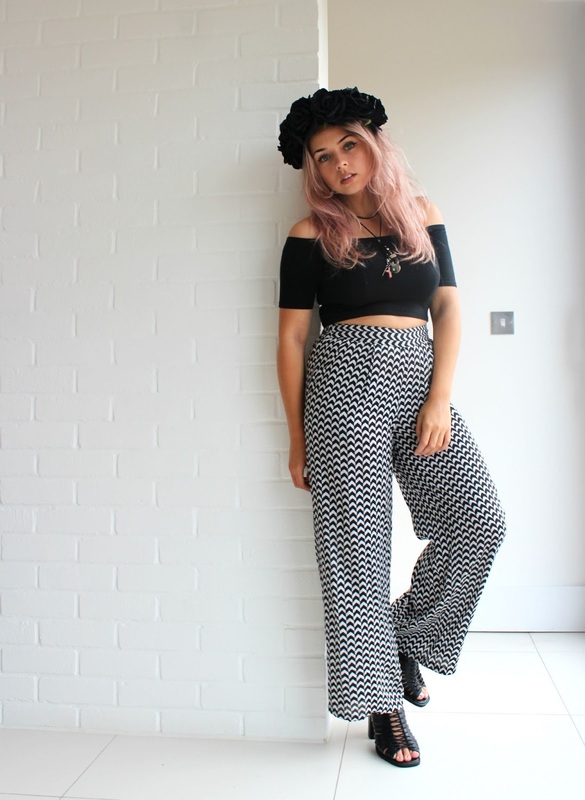 Here's my 5 reasons why these trousers are so fab. Firstly... they compliment my height massively. 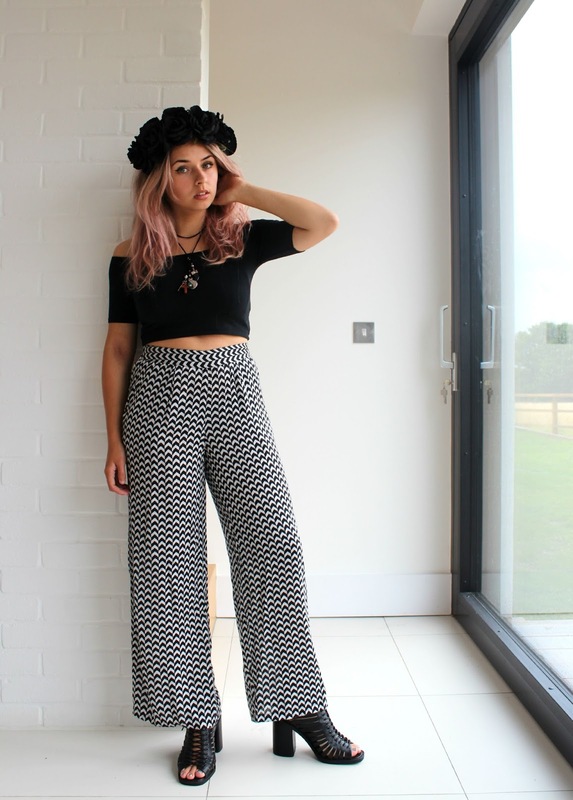 Even without heels this trouser length is fab. I'm 5ft2 so I need something that isn't going to swamp my legs! Secondly, they come up super high to my waist! Feels great! I hate low rise and mid rise fit... Primark did a fab job on scaling the high waist-ness on these beauties! Thirdly.... The monochrome print is sensational! I love the trippy-ness of the monochrome. Fourthly.... They are so lightweight! Perfect for travelling - perfect to wear to the airport, and continue to do so for the rest of your trip! These were only £10 - great for those bargain hunters out there! Just a quick 6th reason.... THEY HAVE POCKETS!! They're so classy, I've stocked up on wide leg trousers while they're 'in' because they are so flattering! Oh god, going on the hunt for these in my local Primark IMMEDIATELY.